The Episode starts with Kumud entering her house recalling the flashback conversation with Saras. She thinks what Saras have told that he has to go, if not today then cant go forever. She thinks you do care for anyone. you saved Bapu I thought you cared for him. If anything happens to him then? She cries and wipes her tears and thinks you eyes are filled with selfishness. Meanwhile Saras tells himself that she dont look at me then why should I tolerate her ego? He is walking on the streets in a deep thoughts. Kusum is taking care of her father. Vidyachatur says we have to do work. get ready everything. Kumari comes there and serves tea. she discuss with him regarding making the qilla. Badi maa comes there and yells at kumari that your mama is not well. Vidyachatur tells kumari that he will give her money. Kumud’s mother ask Vidyachatur if there is something to be prepared then let us know. Badi maa says he deserve or not we dont know. Vidyachatur asks Where is the guest Saras. kumari says we will take jijaji along with us. Kumud comes there and says he needs to go, he cant stay. Vidyachatur says I will not let him go till the Sankranti. Kumud thinks Saras saying that he needs to go. Kumud, Kusum and Kumari in the room and Kumari spots Kumud’s dupatta teared. Kusum interupts her. Badi maa comes there and taunts kumari and tells her kumud used to prepare all the sweets when she was her age. She says to Kumud that when he will eat your hand made dishes then he will come to know that we are not just giving a girl but giving a girl with all the qualities. Kumud just looks on. She asks Kumud to go and prepare. Kusum asks Kumud what he told her. She says I told you before that you will meet him. She tells him that she went to meet him only for her father. She says that bapu is still not well and if he says that he dont want to marry then Bapu cant take this. Kusum tells you asked him to stay back naa. Kumud says that he wrote clearly in his letter that he cant love anyone and he thinks of a relation as a burden, so we cant expect anything from this selfish man. Kusum says that he saved our Bapu. Kumud says he dont think about Bapu but. I didnt asks for a favour. it is upto him to stay or go back. Meanwhile Saras who is at the doorstep hears all the conversation of Kumud and Kusum. Kusum and Kumud sees Saras. Kusum tells he heard everything. Kusum says if he goes then what will happen to Bapu. Kusum says I will go and check on him. Kusum enters Saras room and sees Saras packing all his clothes. He remembers Kumud words. He sees Kusum and says tell me. Kusum asks will you drink tea? Saras in a angry tone replies no need. Kusum comes to Kumud and says he is going didi. Kumud shocked and says what..
Badi maa comes to Kusum and Kumud and ask kusum to learn the dishes from Kumud. Kusum tells Kumari to go and check what jijaji is doing? Kumari tells will you go and meet him if he is alone. Kumud tells her not to joke and just check. Then we will take you for shopping. Kumari comes back and says he packed his bags. They sees Saras coming out of his room with all his luggage. They thinks what to do now. Kumud says he cant do this. Kumud;’s mother comes to Kumud and says what have you done. Saras asks yash from where to catch a vehicle to go to the city. Yash asks are you going back jija ji. but why? Kumud mother’s tells Kumud that I told you before to tell everything to Bapu and end this issue but you asked him to come here, it is your ego because of that he is not staying. He saved your Bapu’s life. It is not a matter of his respect but it is a matter of his health. She asked her to differentiate between the responsibilty and the ego. He saved your father’s life. keep your ego aside. if something happens to your Bapu then you will not forgive youself. Meanwhile Saras is showing walking towards the door and Kumud is seen running towards the door to stop Saras from leaving. Saras comes to Vidyachatur before leaving. Kumud comes there and looks at them from far. Vidyachatur tells him that he in his childhood did not want to go to Dubai and shows him his childhood pictures. Vidyachatur asks him why did you packed your bags. Did we did anything wrong. He says you asked me this why I was going to dubai. I didnt want to go but mausi maa told me that I need to go with Dad but my maa wants me to stay with Dad. Vidyachatur says you know everything. Vidyachatir gets emotional and says we promised with Saraswati bhabhi that everything happens according to her wish then Nandu decided to go to Dubai. Vidyachatur cries. Saras feels bad and looks at Kumud who is standing at the door. Saras thinks about Kumud’s words and says Kaka you know me since childhood. Did I think about only myself. Vidyachatur ask who told you this. Saras says Then I will stay in your room and looks after you till you recover. Vidyachatur says dont loved me like this. Saras tells him that he is a son in law afterwards but Son first. Saras says I do mistakes but I am not selfish kaka. Meanwhile Kumud is hearing their conversation. Saras tells he is not Selfish and he wants to say this only. Vidyachatur says whoever says this, have to first see your heart. He says you have love and respect for all of us. He says now you have stayed naa, we will have fun like before. Kumud feels bad and teary eyed looks at Saras. Kumari tells Mami that in the breakfast your handmade dhoklas. I will eat first. Mami says if your Mama tells this. I will agree. Badi Maa comes there and Kumari says If we know how to cook the food then can win over anybody’s heart. She informs them about Master Chef India and they see the promotion on Tv. The episode begin with Kumud saying herself that Saras will celebrate the Sankranti festival here. Kusum comes there and says you are looking happy. Kumud says I am happy for Bapu. Kusum says but you said he will be celebrating Sankranti here. are you happy Bapu or you? Kusum says he is not we thought of him. you also think like that naa. Kumud says he saved Bapu’s life and he is staying back. but he also wrote that letter to me. Kusum asks her to keep her ego aside. Kumud’s mother asks her did he told everything to Bapu. Did u stop him? Kumud stands with her ego. Kumud mother tells if he tells everything to Bapu, then how will he cope him. Go and thanks him. Kumud says this is all because of him. Badi maa comes there and says Vidya bhai stop him for Sankranti. Kusum asks Kumud to get ready and go to Saras and say Thank you. Kumud leaves. 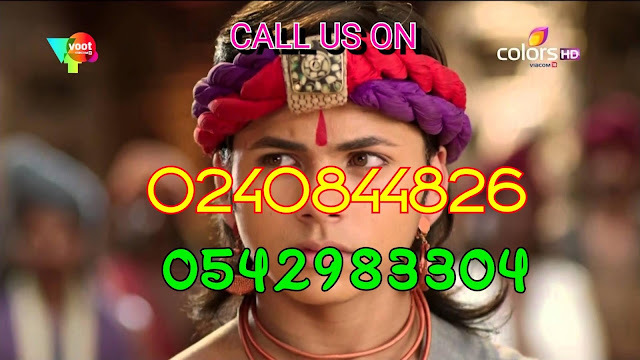 LaxmiNandan calls Saras mobile number but it is not reachable. He tells Ghuman that Saras phone is not reachable and then ghuman didi comes there and says Good morning and taunts ghuman that Laxmi did too much exercise to look same as her age. Just then LaxmiNandan gets a call from Vidyachatur and Vidyachatur wishes him for Sankranti and asks him to come over here. Vidyachatur informs him that Saras saved him from fire break in his factory. I would not have been alive if he not saved him. LaxmiNandan shocked to know that and so is Ghuman. Vidyachatur gives the phone to Saras. Saras tells Laxmi that he want to built a hospital on maa’s name so I came here and Laxmi asks what about the deal. Saras tells him that Sunny is taking care of the deal. Vidyachatur looks surprised. Saras gives the call back to Vidyachatur. Vidyachatur tells him that no need to worry about Saras and he is taking care of the business from his laptop and him too. Laxminandan smiles. Ghuman shocked. Vidyachatur tells him that Saras will be celebrating Sankranti this year and next year he has to come to celebrate the Sankranti as relatives. Ghuman says to Laxminandan that Saras went to Gujrat without informing you. This is not happened before. Laxminandan laughs. He says did you understand why I chose Kumud for Saras. She will change him. Ghuman did says Kumud is far more intelligent than her. Laxminandan says Land deal is just an excuse, Saras went to Ratnagiri to meet Kumud. Laxminandan congratulates Ghuman and leaves. Ghuman gives an evil smile. Didi tells Ghuman that this Sankrati Saras will be with Kumud. Everybody at home gearing up for Sankranti and Kumud sees Saras and Saras sees Kumud and Kumud smiles shyly. Badi maa comes there and tells that did you got what have you searched. Kumud says I am not searching anything. Badi maa tells her do you want to thank him, but he dont deserve it. Remember this. Sankranti preparation is going on. Saras asks are you feeling pain? Vidyachatur says no. He asks for his burnt factory. Saras tells him that he will get it repaired and no damage was done. Vidyachatur thanks him. Kumud looks at him from far. Kumari asks Saras if you like any colour then do let me know. I will ask didi to wear that colour dress. Everybody are preparing the kites and says jijaji luck is with us. Kumud looks at them while the song is playing Kuch na kahe, Bas chup rahe…….. Air is coming from the window. Kites are in the air and Saras and Kumud are trying to catch it. Saras holds mistakenly Kumud hands and Kumud feels shy and Saras smiles lightly. While the song is still playing in the BG, Saras smiles. Yash sees them and teases them. Kumud leaves. Saras gets a call from Sunny, He asks him about Kumud. Saras tells him that he didn’t saw her properly and She saw him. Sunny asks him to see her properly. Sunny asks him do you want to see her? Saras says yes. Sunny says what you will do after seeing her. Saras says dont know. Sunny asks him to tell him after he sees Kumud. Sunny reminds him that he went there to reject her. They disconnects the call. Sunny says to himself that Kumud is looking interesting chapter, he went there to reject there but not rejected her till now. Vidyachatur asks Kumud to give Sankrant uttarayan to Saras. Saras asks for a water to yash, he relents. Kumud comes there hiding her face with the uttarayan. He holds the cloth uncovering her face. She says it is for you, Bapu sent. yash comes there with the soft drink and Kumud leaves. Ghuman is looking at the Kites. Laxminandan comes there. Ghuman asks the servant to make the kites more beautiful and make some more laddu’s too. Servant leaves. Laxminandan says what is this Ghuman? Ghuman says I am preparing to give you surprise of Sankrant. But Vidyachatur told you. She says Surprise is not over yet. We will celebrate Sankranti in Ratnagiri as Saras is there. Laxminandan smiles and says it is not possible as he has meeting here. He asks her to go to Gujrat. Ghuman smiles and says me alone? Laxminandan says everybody knows there that you are my wife and Saras’s good mother and Vidaychatur and his family will welcome you now as you are going be Kumud’s mother in law. She says I will go. Yash tells about kites flying. Mami asks Saras did you know how to fly the kite? Kumud jokes that he cant even hold the kite. Mami tells you are gujrati son but you dont know how to fly a kite? Saras says if anyone teach me then I will learn. Kumari suggests couples will do the kite flying. Vidyachatur pairs Kumud with Saras. Saras thinks now I will see, how you hide your face. The episode ends on his determined face.